Deploying virtual desktops and applications can be a rigorous process if organizations are not using the appropriate tools. Even amongst the best run IT organizations, setting up a complete VDI environment can take several days and sometimes weeks to install and configure. This leads to long maintenance windows and a lot of time needs to be set aside to design and scale the environments equaling higher costs in the long run. 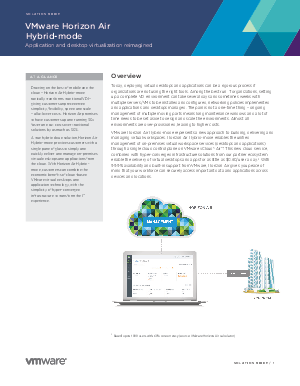 Download this solution brief to discover a new approach to building, delivering and managing virtual workspaces.